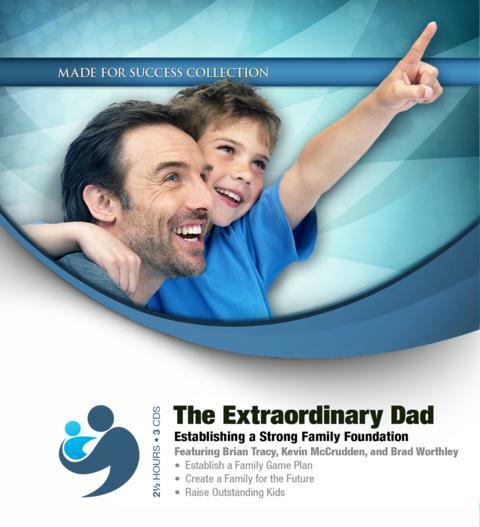 Raising extraordinary children is an elusive feat for many dads because most have never had training on how to do it. In this concise audio program, top motivational and parenting experts will teach you how to raise happy, healthy, self-confident children who will always love and respect you for doing an exceptional job as their dad! The biggest regret parents have later in life is not spending enough time with their children, feeling they didn’t do a good enough job. The true measure of how good a dad you are is how well your children turn out. The great news is it’s never too late to become an exceptional parent—and it’s actually quite simple. This program offers easy-to-follow steps that can provide remarkable long-term rewards, as well as the tools you need to be an absolutely outstanding parent. Become a super dad today! Brian Tracy is one of the most respected speakers, teachers, and trainers in the world today. He has given more than five thousand seminars and workshops in fifty-five countries on the subjects of sales, wealth creation, and goal setting. He is the author of more than four hundred audio/video learning programs and has written fifty-two books that have been published in thirty-six languages. Kevin McCrudden, a leadership speaker, is the first Made for Success speaker to pass a day of recognition by the United States Congress called National Motivation and Inspiration Day.